Omg omg! The miracle product that everyone's been waiting for has finally arrived in Malaysia! 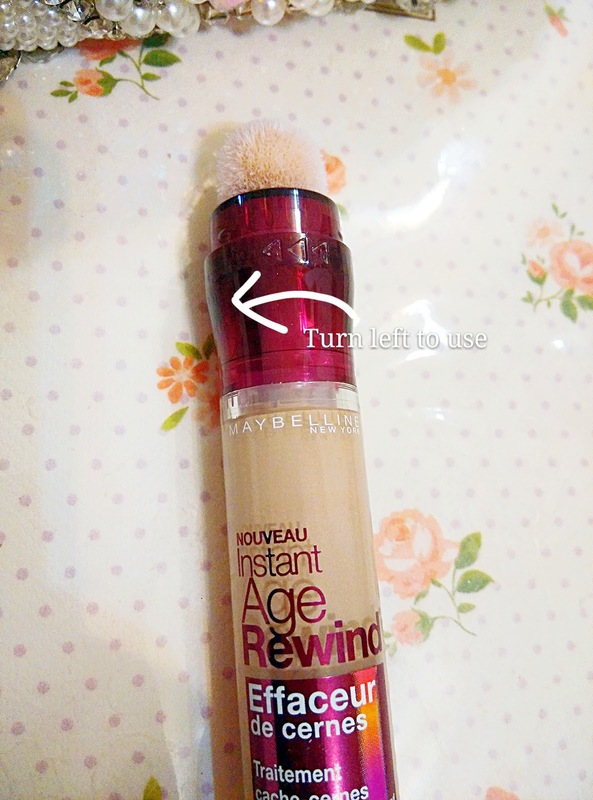 Maybelline Instant Age Rewind that has been a hype among beauty geeks has been on the counter since September this year but always sold out. As I was restocking my foundation at Watson Tesco last week, I caught an eye on a lonely stick. 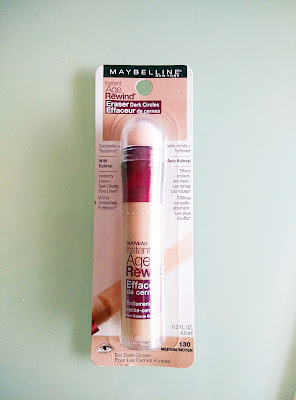 I immediately recognized this is a high demand product from Maybelline so quickly grabbed although its the last one. Gotto say I'm impressed with the outcome although it's not in my shade. Besides this miracle stick, there's also a demand for the Fit Me range. I'm one of those who are eagerly waiting for Fit Me too. My super pale skin is so hard to match with a lot of foundation which mostly has a warm orangey base. 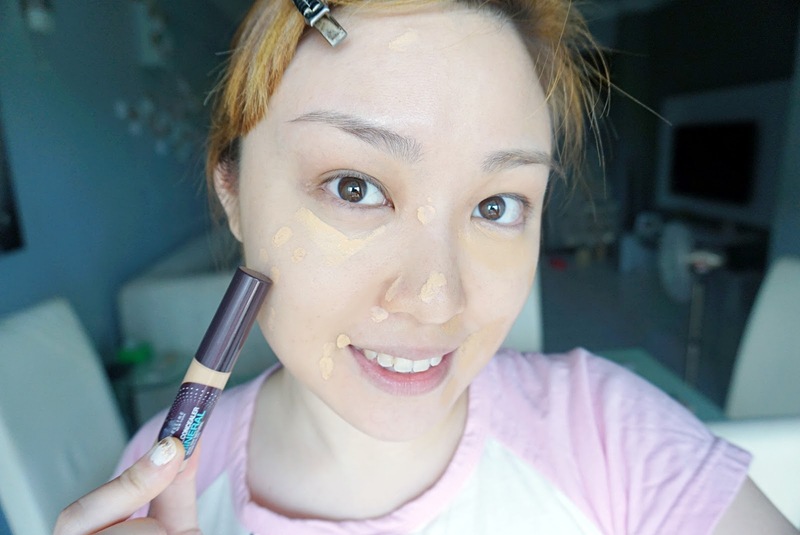 I found that Fit Me has a very light cool tone for foundation. This shade is in 130 medium. Hoping to get a lighter shade to fit my skin next time. This was the last one on counter so hurry grab when you see one! To begin using simply turn the top lid according to the arrow shown. If the liquid doesn't come out, gently tilt for a few seconds while twisting the lid. 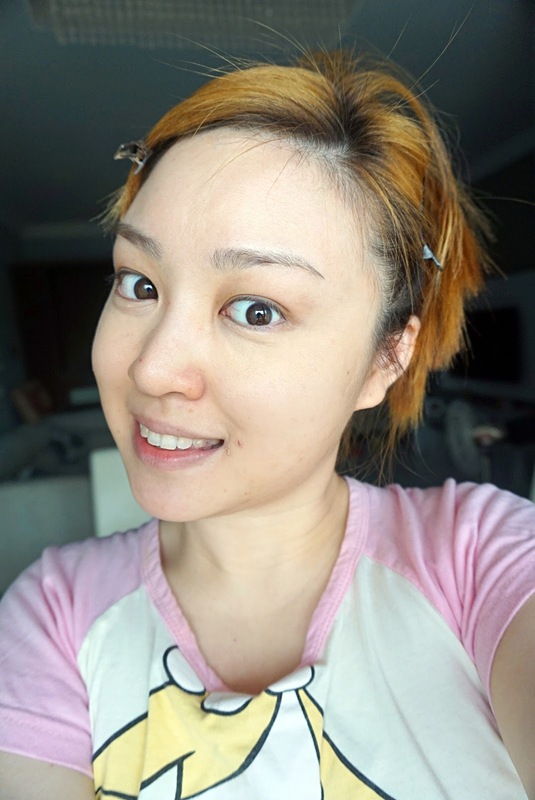 This is my bare naked face in natural sunlight lol. You can see all the blemishes. I applied Instant Age Rewind on the left side of my face. You can see it's too dark for my skin so I won't judge based on the colour instead I'll review on the coverage and texture. I applied my usual Pure Concealer Mineral also by Maybelline on the right side for comparison. 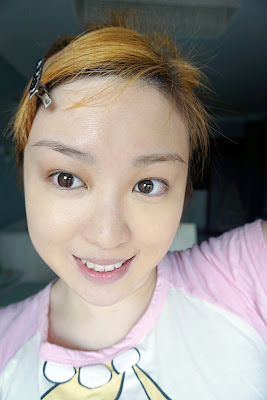 Yup, I love using drugstore makeup coz they do the trick as good as high end products but doesn't burn your pocket. After blending you can see the Age Rewind side is much smoother whereas the mineral concealer side still shows some obvious pores and freckles. Overall I love that it provides a decent coverage and live up to its name to make you look younger by smoothing out lines and spots. However both still appears to be a little cakey especially after you brush with a little powder.